Like rose blossoms, a politician’s promises can be beautiful when they burst into full, glorious bloom — only to fade over time and, petal by petal, fall away. Take Donald Trump’s glorious pledge last year to renegotiate the NAFTA trade deal and provide a “much better” deal for working families who lost manufacturing jobs as a result of it. Beautiful! This particular blossom is what convinced many hard-hit former factory workers to vote Trump into the White House. But the bloom is now off Trump’s rosy promise, and it looks like working families will get nothing but thorns from him. 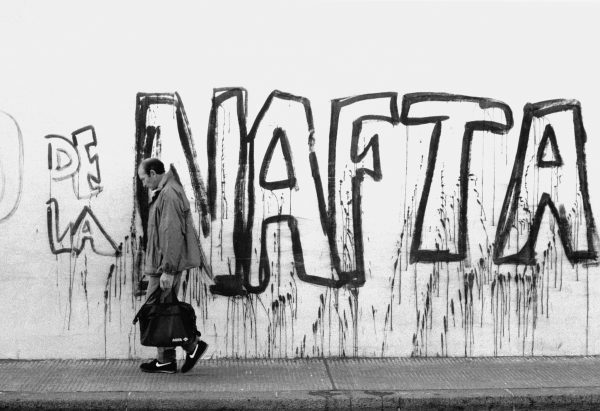 A recently leaked copy of Trump’s NAFTA plan reveals that, far from scrapping the U.S.-Mexico-Canada trade deal, White House negotiators are goosing it up with even more power for multinational corporations. In particular, it includes new “investor incentives” to offshore thousands more of our middle-class jobs. Where did this come from? Right out of last year’s discredited and defeated Trans-Pacific Partnership, a scam intended to enthrone corporate supremacy over our own laws. Indeed, the 500 corporate executives and lobbyists who essentially wrote that raw TPP deal have quietly been huddling with Trump’s team to draft the plan for this “new” NAFTA, the consumer advocacy group Public Citizen reports. What about those working people Trump promised to help? They’re locked out, not even allowed to watch the negotiations, much less have a say in them. The same goes for consumers, environmentalists, and farmers. Even members of Congress are being left in the dark, allowed no voice in shaping the deal. But I’m guessing that the six Goldman Sachs executives Trump brought in to run our economic policy do have a say, along with his daughter and son-in-law who oversee both our government and the extended Trump family’s global business empire. It’s the same old NAFTA story: Corporate powers are at the table — and you and I are on the menu.